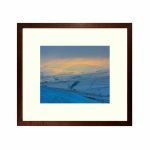 A selection of framed fine art photographic prints of Yorkshire. 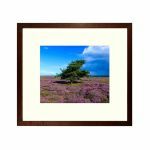 Each print is individually printed on 250gsm archival satin art paper certified by the Fine Art Trade Guild. The print is fixed behind glass on a wide bevel cut conservation mount set in a 40mm deep frame supplied from sustained resources then hand finished with artist's backing tape. If you require a different frame colour or size please contact us, and we will try and meet your request.